Could Redfern be the new Surry Hills? It’s definitely following in its footsteps as more quality cafés and restaurants are crowding into the area. 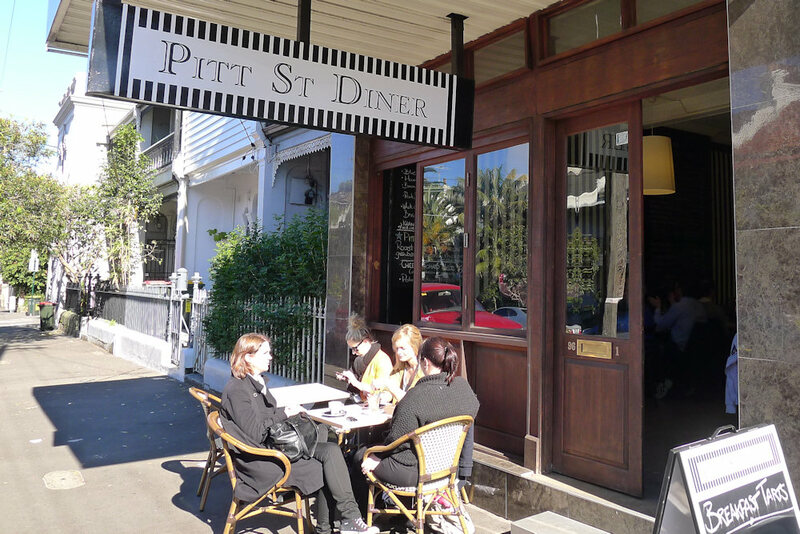 Pitt St Diner is immediately friendly, roomy and welcoming. Footpath seating is limited but there is plenty inside including a room through the back with single table suitable for up to eight people. The interior is a mix of old-school retro and modern-fresh. The kitchen and counter is right in the thick of it, there not only to serve scrumptious foods but also keep to you entertained as the buzz of wait and kitchen staff professionally keep things moving at a steady pace. The only fruit juice on the drinks menu is Parkers Organic ($4). You all know how we prefer our fruit freshly squeezed so we skipped past those to the iced tea (black tea with hibiscus and cranberry, white tea with white nectarine, white tea with elderflower and lemon and green tea with Moroccan mint, $4), shakes (chocolate, vanilla and strawberry, $4, add malt for $1) and smoothies. The banana smoothie ($4.50) unfortunately tasted too synthetic – the flavour provided by artificial flavouring as opposed to fresh fruit. This is understandable considering the ridiculous price of bananas at the moment so we hope to return and try the same drink when PSD uses the real thing! 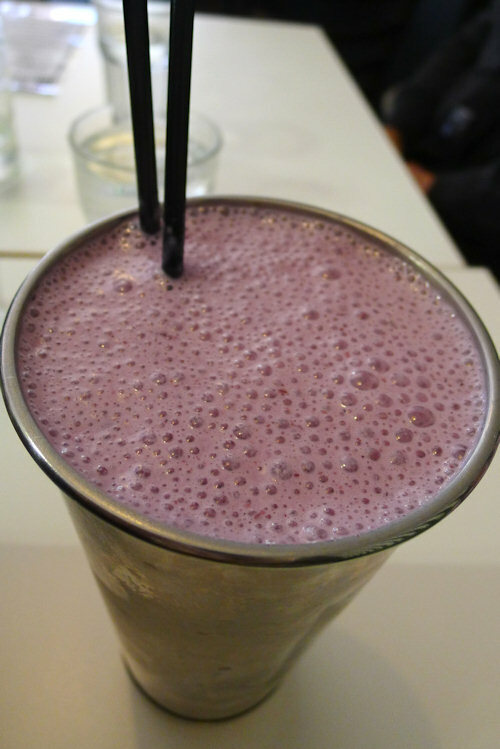 The very berry fruit smoothie ($4.50) was a different story however. Plenty of flavoursome berries and tasty yoghurt made this a hit despite the cold winter morning. We’d order this one again for sure. 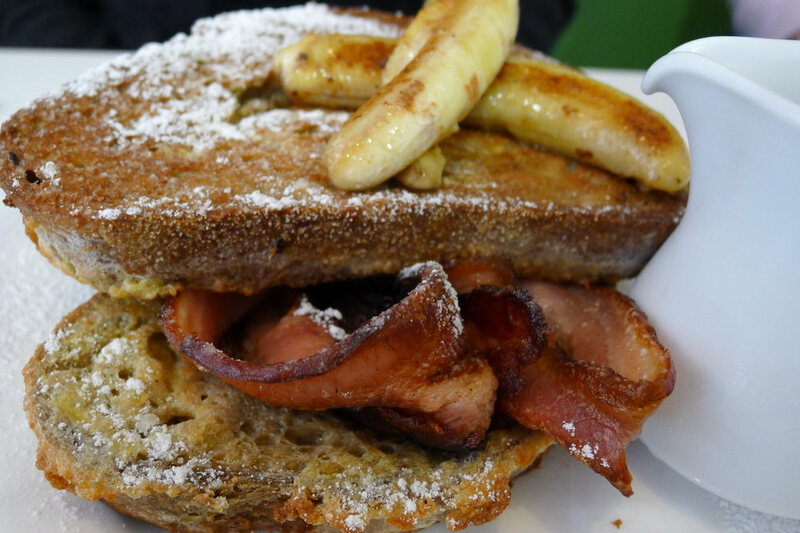 Delicious, well-soaked Sonoma bread, grilled banana, maple syrup and smokey bacon… are you drooling yet? The thick cut French toast and maple syrup ($11.50) is available either with grilled banana or berry compote. Order the former and it is sacrilege not to add bacon ($3)! We asked for ours crispy and that is how it came. A great rendition of a delectable dish. 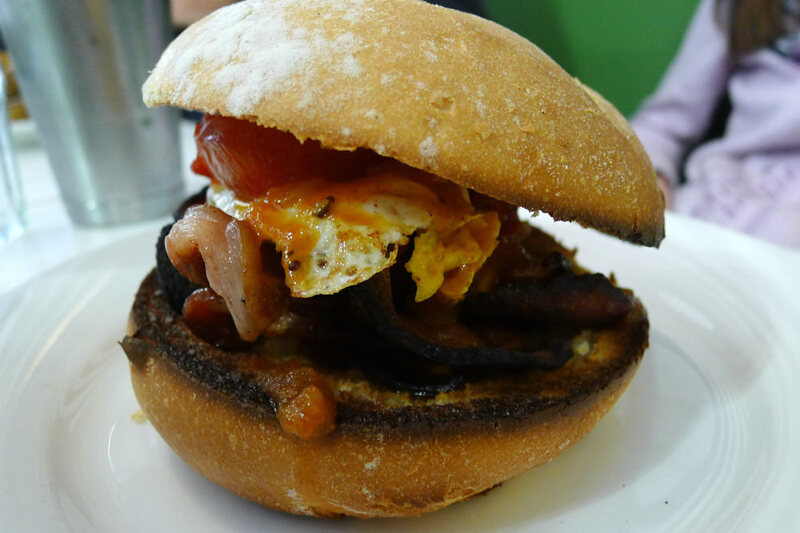 The bacon and egg roll ($7.50) definitely has that homely feeling. From the toasted and slightly charred roll, to the crispy bacon and the chunky tomato relish. As with our other dishes, the serving size was fantastic relative to the price. 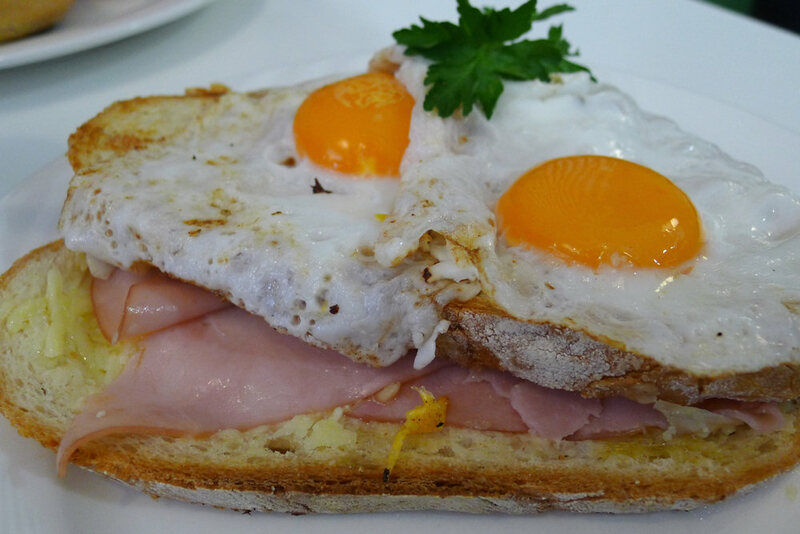 Croque madames ($13.50) and monsieurs ($9.50) are available for breakfast (as are some other fantastic-looking sandwiches for lunch). The majority of these sandwiches are pre-made but upon tasting our madame, we had no complaints! Plenty of ham and strong Gruyere cheese between fresh bread that was easy to cut through and had great texture. The quality Sonoma bread also goes a long way. Other sandwiches on the lunch menu include the Ruben (pastrami, seeded mustard, melted Gruyere cheese and sauerkraut on sourdough, $13), hot tuna (tuna pattie with potato salad, red onion, capers on a toasted bun with dill mayo and rocket, $13) and roasted beetroot salad with Meredith Farm goats cheese, pinenuts, green beans and salad leaves with balsamic dressing ($16.50). Considering the sizes of ours and our neighbours dishes, the prices at Pitt St Diner are exceptional. This is a place full of personality and friendliness. 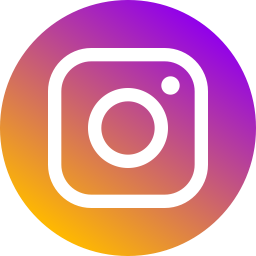 The specials are constantly changing and a quick browse through some of the mentions on their Facebook page is enough to convince us to return! That and some of the other dishes such as bubble and squeak stack with avocado & smoked eggplant salad, haloumi and baby spinach ($17.50), corn fritters with caramelised onions, rocket, avocado and house smoked ocean trout ($17.50) and Spanish eggs served baked in a tomato, onion and capsicum compote with a side serve of chorizo or black pudding ($16.50). This entry was posted in Sydney - South and tagged Dog friendly, Fresh fruit and vegetable stores close by, Outdoor seating, Reasonable prices. Bookmark the permalink. Everything looks so good! Those lunch sando options sound amazing – I might have to check that out real soon! Thank you Guys for the great review. 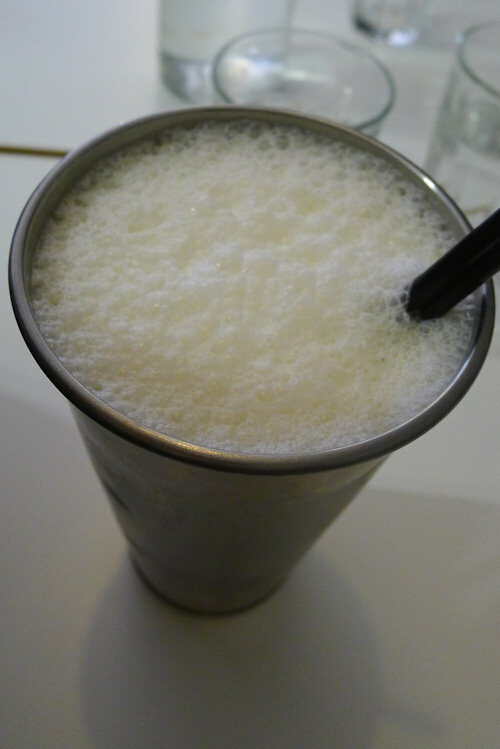 Sorry about the Banana Smoothie but the bananas are just not up to scratch at the moment so we may have added Vanilla. Look forward to seeing you again. Yeah we could definitely taste the vanilla. We’d definitely like to try the iced teas next time, they sound delicious.